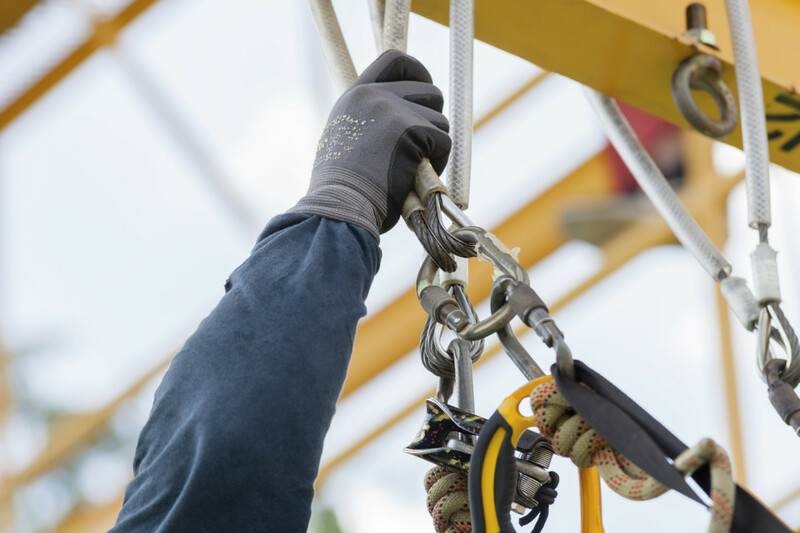 Barry Wilkes looks at the importance of health and safety in work of temporary nature and how work at height in particular needs to be well-managed. As health and safety practitioners we know that some sectors and occupations are more dangerous than others. 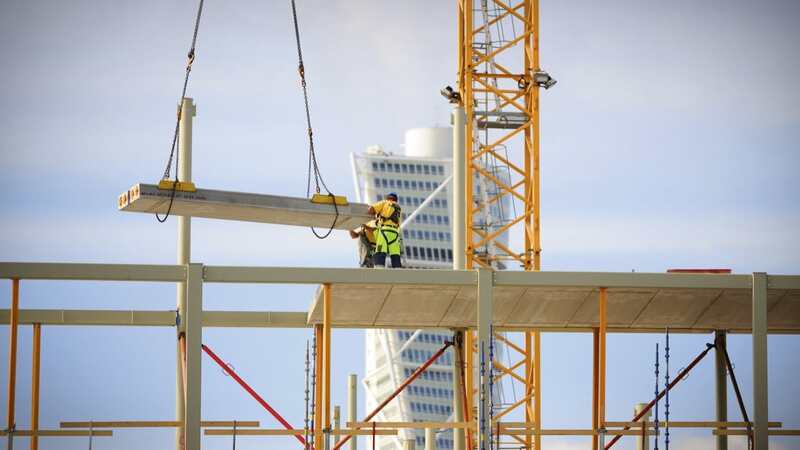 This is confirmed when we explore a range of global or local safety statistics associated with different sectors, such as those reported by the International Labour Organization (ILO) for construction, for example. According to the ILO at least 60,000 people are killed every year on construction sites worldwide. That is around one death every 10 minutes. Overall the industry accounts for almost one in five of all fatal workplace accidents. As practitioners we should look behind the headline figures featured in reporting of this kind, to help us establish what makes an industry particularly dangerous. For example, research consistently reveals that deaths in construction are most commonly associated with falls from height, while in the oil and gas industry fatalities are more frequently caused by equipment failures and transportation issues. However, while having an understanding of the hazards that exist within industries is vitally important, it is also essential that practitioners step back and take a more holistic view when assessing risks. So another question to ask would be, what else is it about these industries and activities such as work at height that might make them more dangerous? A clue lies in the broader nature of the construction and oil and gas work, which often means that work is being undertaken in constantly changing and temporary situations. The hazards associated with works that are of this temporary and dynamic nature create a range of challenges for practitioners. Orkhan Babashov is from Azerbaijan and now travels the world managing a variety of significant projects as a Health, Safety, Security and Environmental (HSSE) advisor for oil and energy giant BP. Recent projects he has been involved in include the Trans Anatolian Pipeline (TANAP), which will transport gas across Turkey, and enhancements to the South Caucasus Pipeline (SCP), which is being expanded with a new parallel pipeline across Azerbaijan and Georgia. I asked Orkhan what he believed were the key health and safety challenges faced when working in these temporary situations. His view was that they often related to the pressure of deadlines, the sheer variety of working environments and the scope of work undertaken. To get an overview of the kind of challenges faced in a temporary construction environment, I turned to a member of the NEBOSH Alumni, Maria Anderson, who is Health and Safety Manager at the prestigious British Museum in London. Maria has first-hand experience of major construction work taking place alongside the Museum’s standard activity, which of course involves providing access to huge numbers of the public and the additional concern of housing significant historical and precious artefacts. For Maria, managing these kind of challenging situations is all about getting the planning right and working with the right people. The British Museum also operates a full programme of exhibition displays that run for a few months and are then replaced by another. Each event will usually feature the creation of temporary structures, which may require all kinds of activity ranging from hot works to work at height. Joel Nedamo sheds further light on the challenges of temporary workplaces. Joel, who holds a NEBOSH International Diploma in Occupational Health and Safety, is Health and Safety Manager at the Dubai World Trade Centre (DWTC). He faces similar challenges to those experienced by Maria Anderson at the British Museum. DWTC offers a huge conference, exhibition and event programme, which means an ever changing landscape. Again there is a strong focus on managing contractors and ensuring they are suitably competent. One area that Orkhan, Maria and Joel all raised during our conversations was the issue of working at height. We have already highlighted that for the construction industry in particular, with its dynamic and changing nature, falls from height is the cause of most deaths. It is therefore a subject that perhaps requires some particular focus to help practitioners understand how work at height risks can be best managed. Neill Moffat (CMIOSH, FIIRSM) is SHEQ Director for one on the UK's leading multi discipline organisations, working with many blue chip clients in the UK, Republic of Ireland and Republic of Kazakhstan. 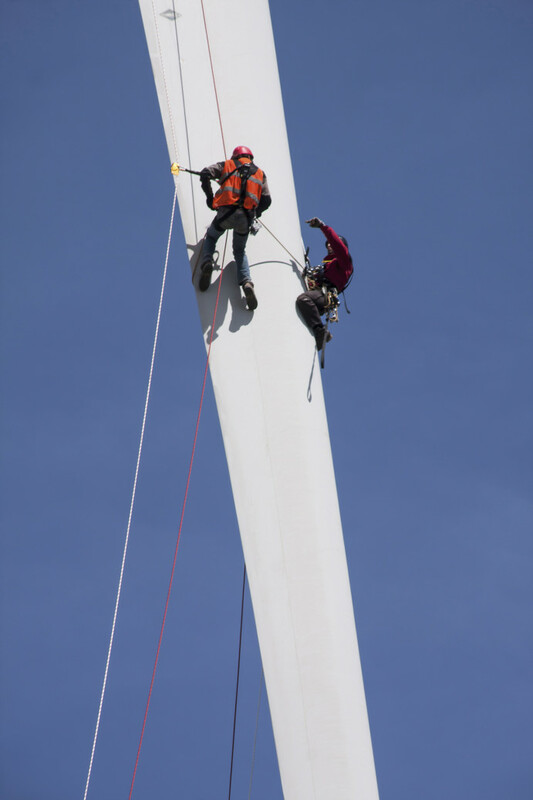 As a result, he has considerable experience of managing working at height in a variety of temporary workplaces. “When we think of working at height it tends to conjure up images of construction workers balancing precariously many metres above the ground,” said Neill. “But while it is true that the majority of fatalities arise from falls from well above ground-level, it is also important to recognise that a significant number of major injuries arise from falls from a relatively low height. So let’s be clear from the outset that working at height risks can exist even at or below ground level. It is the wider risks associated with falls that we really need to assess and then focus on. He added that it is absolutely essential to ensure that any work at height is properly planned, appropriately supervised, and carried out in “as safe a way as possible” including planning for emergencies and rescue even if this work is of a relatively short duration. When selecting work equipment, it’s important to take into account the working conditions and the risks to health and safety associated with the place where the equipment is to be used. Any additional risk posed by the use, installation or removal of the work equipment, or by evacuation and rescue from it should also be considered. When selecting equipment for work at height, priority should be given to ‘collective protection measures’ over ‘personal protection measures’. In other words, equipment such as nets and airbags should be given priority over individual harnesses and other such fall arrest equipment. When it comes to use of guard rails, toe-boards, barriers or similar means of protection, Neill suggests working in accordance with the requirements laid out in Regulation 8 of the UK Work at Height Regulations (2005), as set out within schedule 2. Obviously this law only applies in the UK, but can be seen as providing a model of good practice anywhere in the world. Temporary working platforms should comply with part 1 of schedule 3 and where scaffolding is provided it must comply with part 2 of schedule 3. Other useful schedules cover collective safeguards for arresting falls (schedule 4) and requirements for personal fall protection systems (schedule 5). Inspection is a crucial aspect of controlling the risk of falls at work. “Each individual place where work is to be done at height should really be checked on every occasion before that place is used,” explained Neill. In addition, equipment should be inspected after it is assembled and/or installed, and as often as is necessary to ensure safety. This will help to make sure that any deterioration can be detected and remedied in good time. Any equipment that has come from another business should be accompanied by a clear indication of previous inspection. Fragile surfaces, such as fibre-cement roofs and rooflights, can be particularly hazardous. Health and safety practitioners should ensure that no one goes on or near a fragile surface unless that is the only reasonably way for work to be carried out safely and having regard to the demands of the task, equipment, or working environment. It should not be forgotten that working at height also presents a risk from falling objects. Nothing should be thrown or tipped from height if it is likely to injure anyone, neither should anything be stored in such a way that its movement would be likely to injure anyone. “If the workplace contains an area in which there is a risk of someone being struck by a falling object or person, practitioners need to ensure that the area is clearly indicated and that unauthorised people are kept out of the space,” said Neill. One final aspect mentioned by Neill, and also one that was highlighted by Orkhan, Maria and Joel in our discussions, was the importance of training. Providing effective training and induction to the workforce is vitally important; particularly what procedure should be adopted to deal with work that might not be undertaken routinely like maintenance or repairs. Lack of familiarity with procedures, surroundings and even other work colleagues are undoubtedly significant factors that make works of a temporary nature more hazardous than they perhaps should be. It is important that the training provided covers these issues to counter the increased risk. Improved communication and culture are all positive outcomes associated with effective occupational health and safety training programmes. If you can deliver this type of training at the start of a project, therefore, this will be massively beneficial. I have highlighted that works of a temporary nature can be a source of significant challenge for health and safety practitioners themselves. To be successful a practitioner needs to be able to adapt their approach and the frameworks they have learnt to suit the different personnel, unfamiliar surroundings and new and sometimes entirely unique situations faced. To achieve this requires a mix of knowledge, skills, attitude and experience. Gaining relevant qualifications in construction health and safety and occupational health and safety are important stepping stones towards helping you to achieve competence. The safety professionals featured in this article all hold NEBOSH qualifications, which help them to competently manage the risks faced in the temporary workplaces they manage every day.